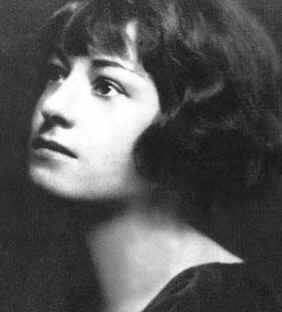 When I think of writers "behaving badly" Dorothy Parker springs to mind; it's not that I think she was behaving badly at all. I think she was just doing things her way. But in the stricter, more tightly conformed society that ruled her day, she was judged by different standards and the "they" (the self-appointed morality police of her times) often found her behavior outrageous. A member of the Algonquin Round Table Dorothy Parker (born Dorothy Rothschild, 1893 - 1967) party and caroused her way across the literary landscape. And though her writing showed talent, it was her acerbic wit and biting satire that provided attention and fame. Like many other writers, Parker had rough childhood and as an adult suffered through bouts of depression an alcholism, and survived several suicide attempts. I require three things in a man: he must be handsome, ruthless, and stupid. I don't care what is written about me so long as it isn't true. If I didn't care for fun and such, I'd probably amount to much. But I shall stay the way I am, Because I do not give a damn. It's a small apartment; I've barely enough room to lay my hat and a few friends. You can lead horticulture, but you can't make her think. I shall stay the way I am because I do not give a damn. Lips that taste of tears, they say/ Are the best for kissing. Drink and dance and laugh and lie, love the reeling midnight through, for tomorrow we shall die (but alas we never do)! That would be a good thing for them to cut on my tombstone: Wherever she went, including here, it was against her better jugment. That woman speaks eighteen languages, and she can't say 'No' in any of them. I'm never going to be famous. My name will never be writ large on the roster of those who-do-things. I don't do anything. Not one single thing. I used to bite my nails. But I don't even do that anymore.